Excel College of Engineering and Technology's vision since its inception has been to be one of the world's great colleges for the public good. In the words of our Hon. 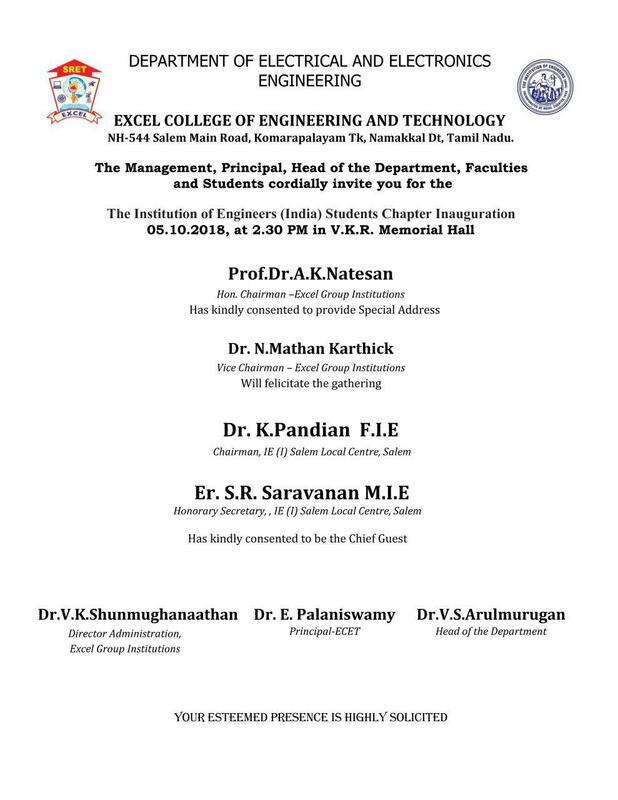 Chairman, Prof. Dr. A. K.Natesan, Excel Group of Institutions is directed towards the "excellence in higher education", towards uplifting of the whole rural people in Tamilnadu, across India and around the world. We at Excel, Dare to Discover new avenues in technical education and Dare to Deliver by innovative methods..
Dr. N. Mathan Karthick, M.B.B.S., M.H.Sc.